The Rolex GMT-Master is without a doubt one of the most renowned and sought after models when it comes to watch collecting. The GMT-Master ref. 16758 ‘SARU’ —referring to the sapphires and rubies on its bezel— is a lavishly set with diamonds, sapphires and rubies GMT Master that along with reference 6270 and 6269, was the earliest Rolex sports watch to feature any precious stones. This concept was incredibly daring in the 1980s, as tool watches and luxury gem-set timepieces resided in two separate spheres. This particular offered by Phillips Watches on their Geneva Watch Auction: SEVEN back in May, 2018 is without a doubt a ‘rare bird’ in all the extension of these two words. 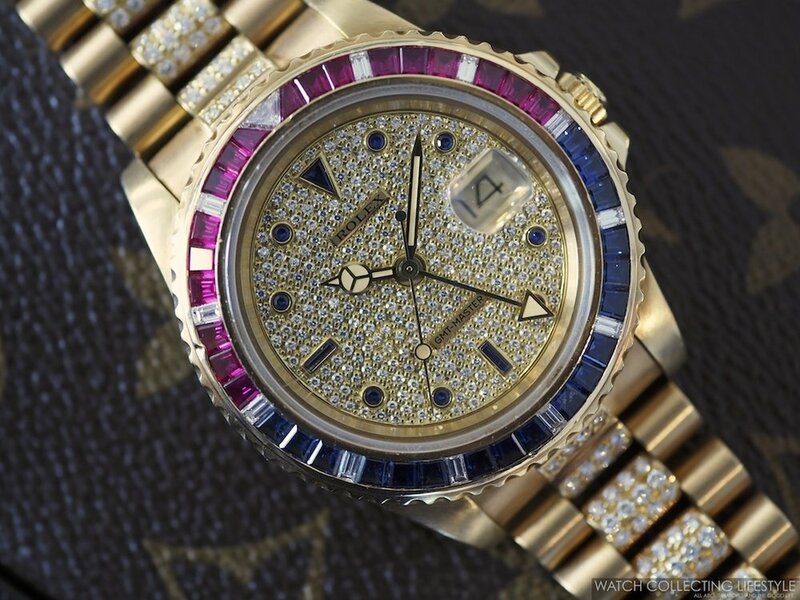 Rolex in particular excels at the incredibly time-consuming job of setting well-matched and beautiful stones. The sky blue sapphires contrast wonderfully against the ruby baguette stones, truly elevating the present example beyond a standard dual time wristwatch. This ‘rare bird’ is furthermore engraved with the "Khanjar" logo on the case back with a crown confirming very special provenance from the Sultanate of Oman. Preserved in excellent condition, the case displays crisp edges and sharp hallmarks beneath the lugs. No wonder this watch fetched over a quarter of a million dollars a few months ago. 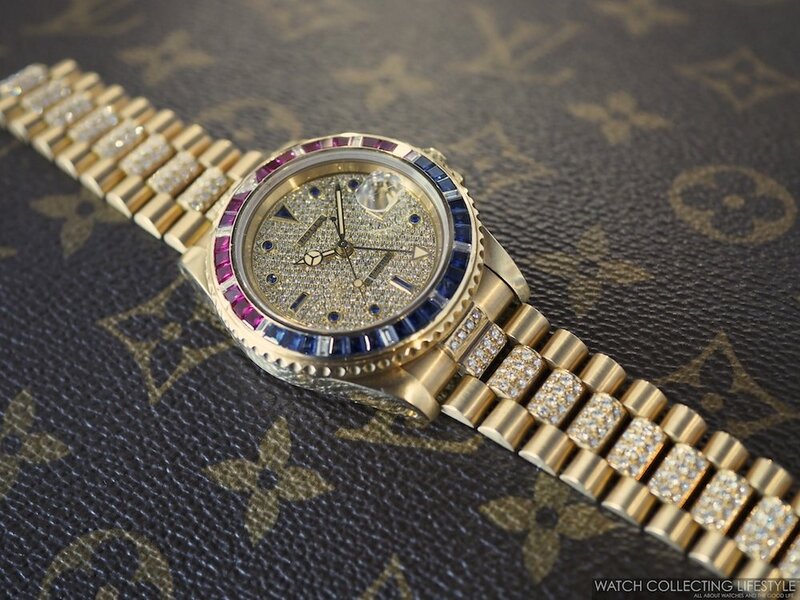 A rare bird with rare provenance and one of the most striking gem-set Rolex watches out there. Approximate Sticker Price $200,000-$275,000 USD. For more info on Phillips Watches click here. Posted on October 15, 2018 by Editor & Publisher and filed under Rolex and tagged Rolex GMT-Master ref. 16758 'SARU' for Sultanate of Oman Rolex GMT Watches Rolex GMT-Master ref. 16758 'SARU' 2018 Rare Bird Most Popular.